Taking a dip with Baskin. Paulina Zaborska was born in Lublin, Poland in February 1988 and immigrated to Ontario with her family when she was three years old. Though arts and crafts were always a favourite activity, her interest in drawing truly began to develop during the same time that she became - as many have put it - obsessed with horses. At the age of eight Paulina took up riding lessons at a local farm where, for the next few years, she could be found at all hours of the day. 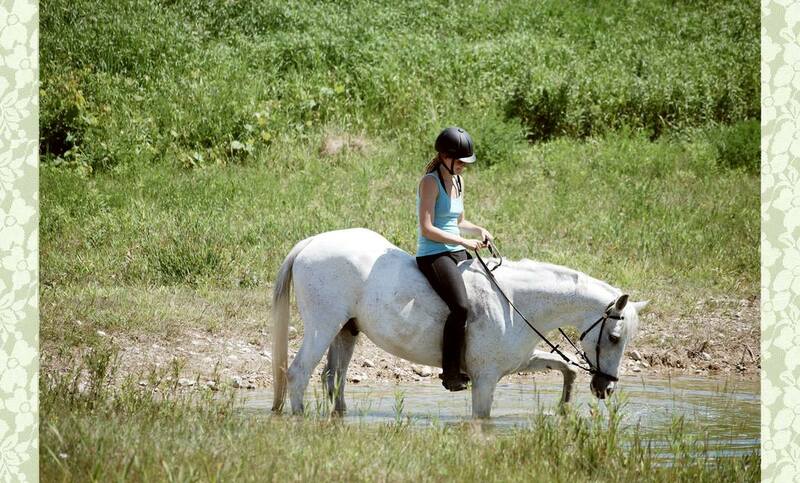 A little girl with a passion for horses tends to walk around with a head constantly full of dreams. Paulina was no exception, and she found the process of drawing out her muses to be liberating. She drew elaborate scenes, studied and sketched movement, skeletal and muscular structure, gave her favourite horses silly cartoon aliases, and practiced portraiture. When at last she bought her own horse, the lovable and beautiful Baskin, her artistic prowess took on new dimensions as she found new ways to express her devotion to her muse. It was not until halfway through high school that she utilized her paintbrush and tried out her now-favourite media, acrylics. However, art was always a source of enjoyment and relaxation, and she never considered it to be a full time career. She focused her studies on the sciences in pursuit of a future as an animal researcher. ​Paulina continued on to study Wildlife Biology at the University of Guelph, where she developed a love for field work. Always an adamant camper, she feels at ease and enlightened in the field and thrives in remote situations. She especially enjoys behavioral observation and adaptational animal physiology. 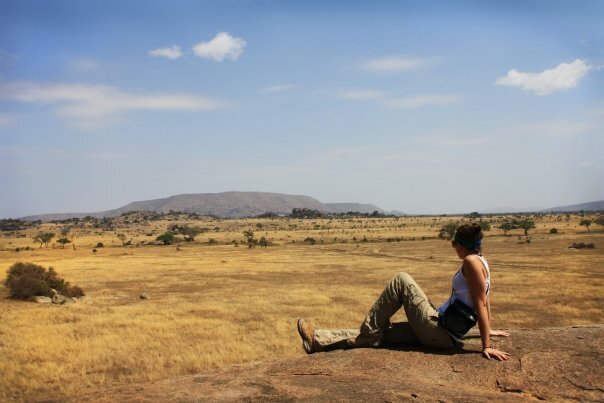 During the summer of 2009, Paulina ventured to Tanzania for a field course on East African ecosystems and the tracking of malarial hotspots. She quickly fell in love not only with savannah wildlife but especially with African culture. It didn't take much for Paulina to set her goals on continuing to study wildlife in East Africa. In the meantime, intensive university courses did not leave much time for art study, though the promise of a new muse had her pulling out her paints in an attempt to find that piece of soul that was left behind somewhere in the jungles of the Southern Pare mountains. ​Soon after, Paulina embarked on the adventure of parenting two little boys, which can be a daunting task not for the feint-hearted. Choosing to homeschool did not allow for an immediate return to the sciences. However, it allowed for two things: 1) a whole hearted attempt to immerse the next generation in nature appreciation, and 2) the return to art. As parenting can easily leave a person feeling claustrophobic, Paulina began to fully appreciate the ability of painting to somehow ground her while simultaneously being a means of liberation. She still loves to take off for a while aboard the one and only Baskin, but when the kids are asleep and there are still a few more minutes left in the day, Paulina will most likely be found in her studio surrounded by colours, with a Marley brother playing sweet reggae on the speakers. She still aims her sights on Africa and her clothes still smell like horses, but now everything is also covered in paint.